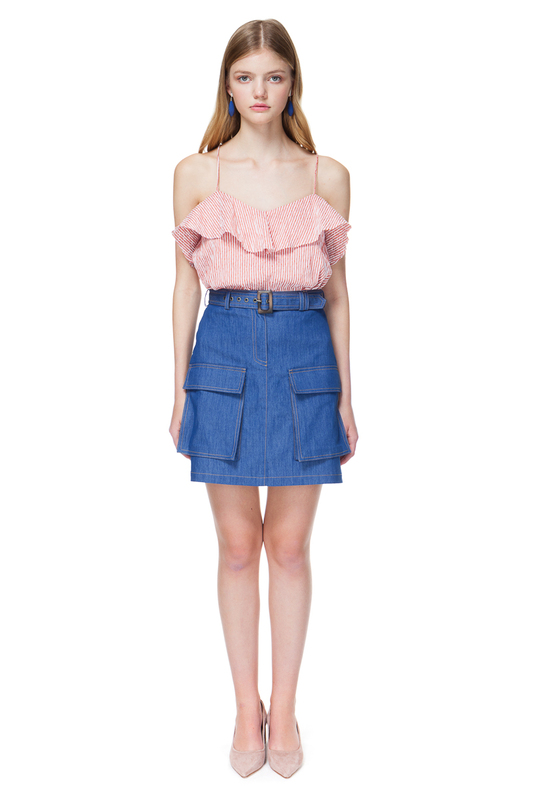 Denim skirt in sea blue with a flattering high-rise shape. 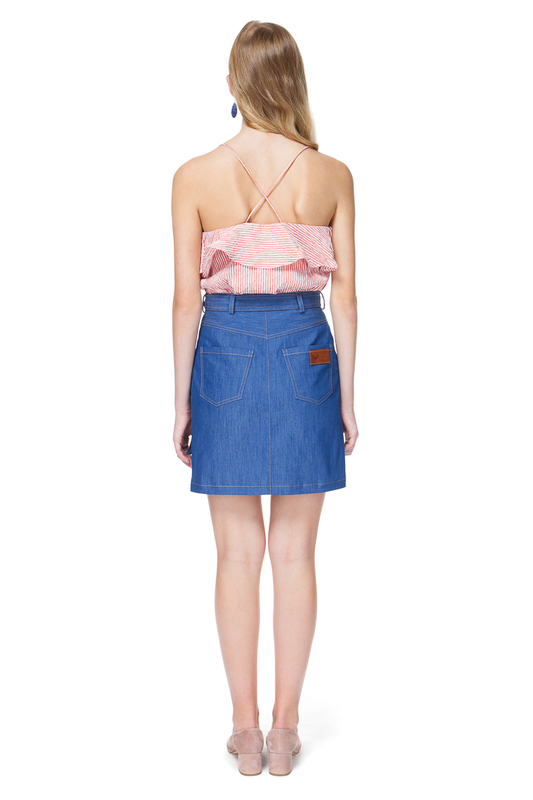 Cut from stretchy denim, this mini skirt has a structured silhouette, layered utility pockets and a belt to highlight the waistline. Style yours with flowy oversized blouses or tuck in a simple tee to create an effortless everyday look.